The quill tip in this finger has microscopic, backward-facing barbs that make the quill hard to remove. Bioengineers think the same sort of barbs could help keep dissolvable medical staples in place until a wound heals. 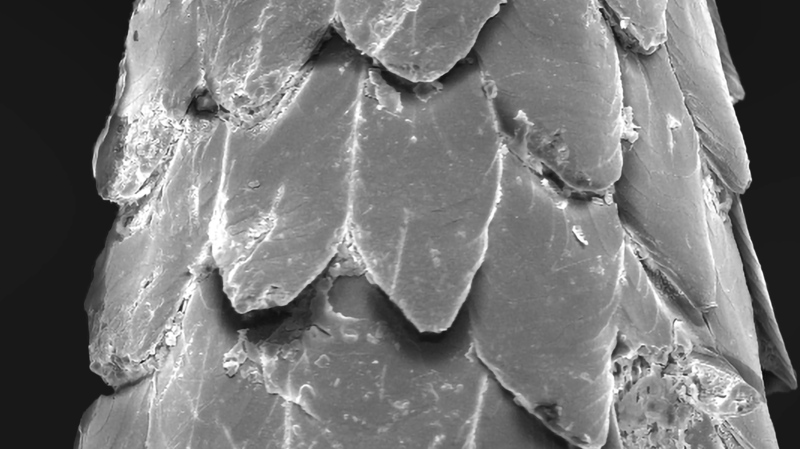 Left: A microscopic image compares the size of a North American porcupine's quill tip with the tip of a narrow, 18-gauge needle. 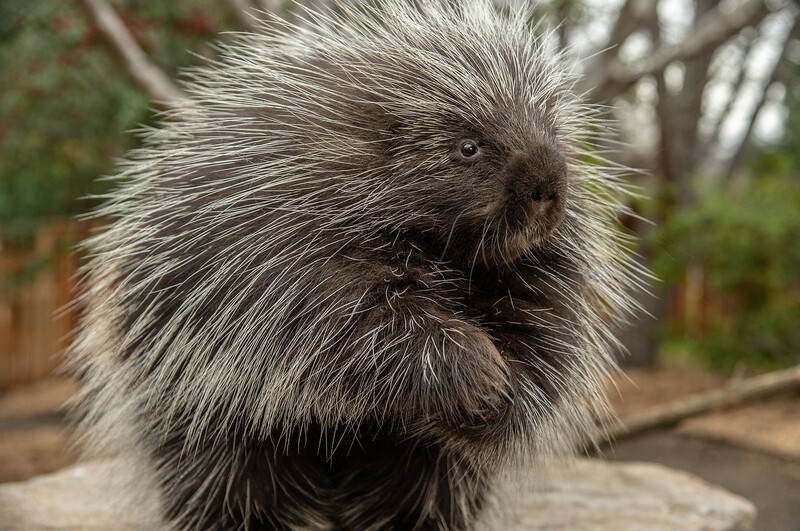 Right: In a live porcupine, the partially hidden quills usually lay flat along the herbivore's body, amidst other hairs, until and unless called into action.